The government will “resist” any changes to its Brexit bill and seek to overturn the defeat inflicted by the House of Lords, ministers have vowed. 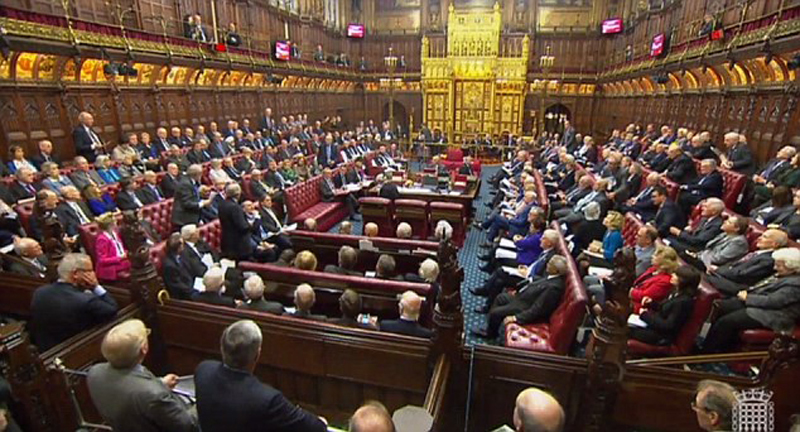 Peers defied ministers by 358 to 256 to guarantee the rights of EU nationals living in the UK after Brexit. Theresa May will be forced to order MPs to throw out an immediate guarantee that 3 million EU nationals can stay in Britain, after a humiliating defeat in the House of Lords. Peers defied the Prime Minister by voting by 358 to 256 – a majority of 102 – to insert a clause in the Article 50 Bill to ensure EU citizens will have the same full rights to live and work here after Brexit. Peers who backed an amendment to the Brexit bill to guarantee the rights of EU citizens have urged Conservative MPs in the House of Commons to support the change when the bill returns. Theresa May’s government has vowed to overturn a demand by the House of Lords to guarantee the rights of EU citizens living in the UK within three months of article 50 being triggered. Theresa May has defiantly insisted her timetable for triggering Brexit will not be blown off course despite suffering her first Parliamentary defeat over the Article 50 bill. The House of Lords voted to amend the Bill to force the Government to guarantee the rights of EU citizens living in the UK. Seven Tory peers – including the former pensions minister Baroness Altmann – backed the amendment. Theresa May has vowed to face down unelected peers over the Brexit Bill and stick to her timetable for triggering Article 50. Downing Street has insisted the PM’s plans are ‘unchanged’ despite the stinging defeat in the House of Lords.